Need the flexibility and control to manage large-scale deployments? Private colocation suites are available in the Boston market. Interested in more information or a tour of our BOSTON data centers? The largest city in New England, Boston is home to some of the nation’s most prestigious universities, putting it at the forefront of research and development in a number of growing industries. INAP data centers are ideally positioned to support this growth, touting high performance via a fiber ring through the metro area. 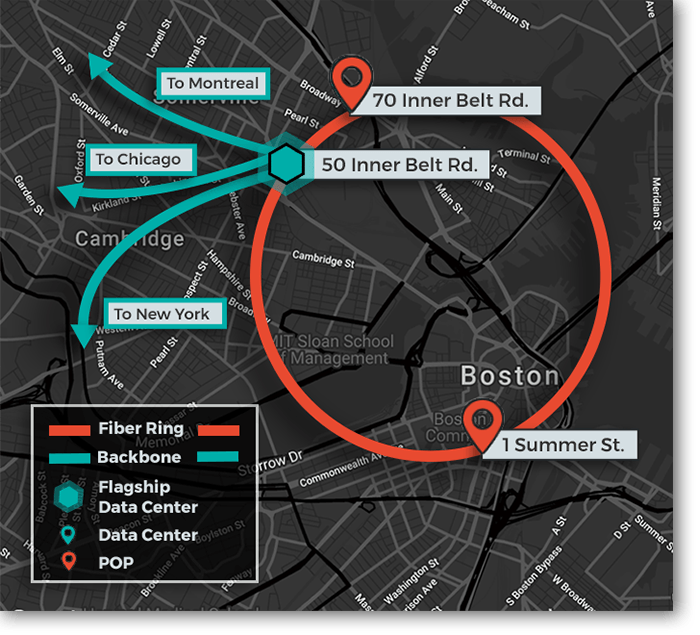 Our Boston data centers connect to New York, Montreal and Chicago via our reliable, high-performing backbone.